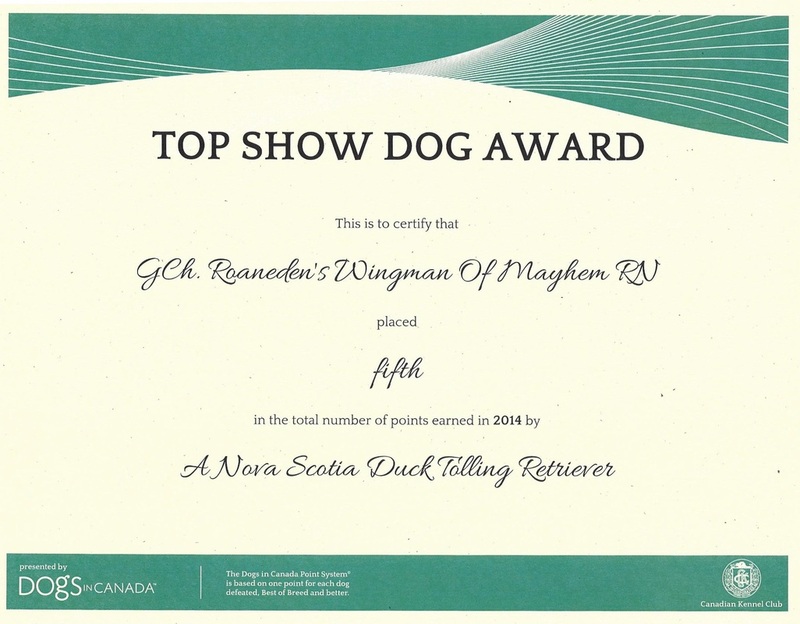 "Can GCH Roaneden's Wingman of Mayhem CGC CGN RN"
"Carson" was our keeper from the Madden x Candy litter. He is a very handsome young boy, showing plenty of promise in the show ring and the working venues. 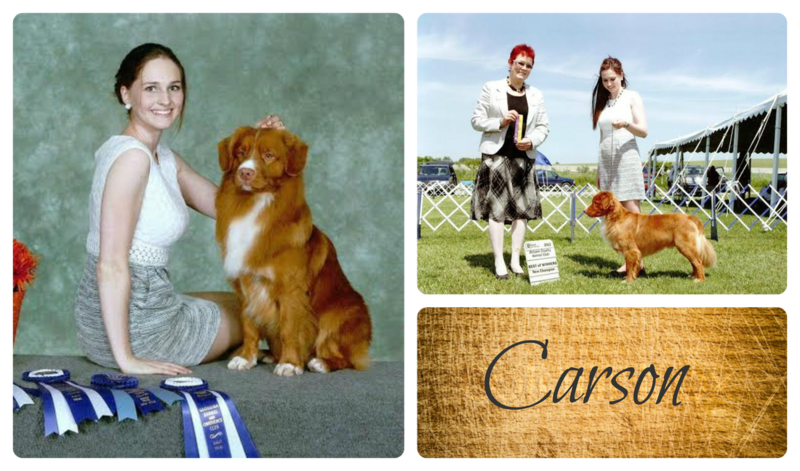 Carson has good strong bone, a beautiful dark red coat and moves around the ring like a superstar. *Carson brings home a Sporting Group 1st his first weekend out of 2014 and completes the requirements for Grand Champion!! 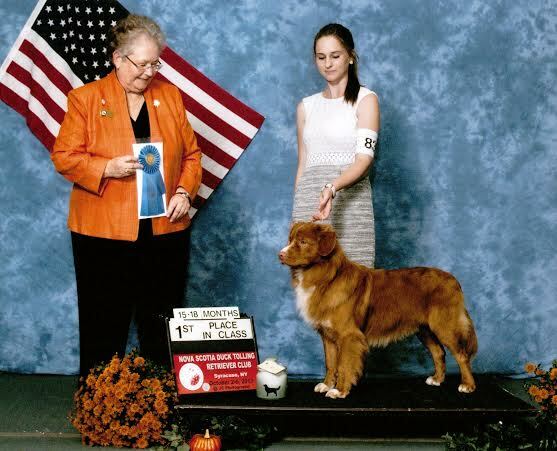 *NSDTRC USA National Specialty - Syracuse NY- over 200 Tollers entered!